Most pilgrimage sites are located at some holy ground and Chavin is no different; it lies in a valley at the confluence of 2 rivers in between sacred mountains. Unlike most pilgrimage sites that encourage large masses, this one has an inner sanctum that specifically restrictive. Chavin’s most sacred stone, the Lanzon, is hidden in a maize-like structure that is described as feeling like a cave, with no natural light at all. Also, the building is not built up like many structures that hope to be the tallest or biggest building in the area, it’s courtyard is sunk into the ground so that it does not compete with the surrounding landscape. This is probably the most famous of all pilgrimage sites. The Kaaba is located in Mecca. The city can actually only be entered by Muslims; something I greatly lament. The Kaaba integrated with two of the Five Pillars of Islam. The haijj, a multi-day pilgrimage to Kaaba, is a trip that all Muslims must complete at least once in their life and Muslims face the Kaaba as they pray five times a day. Interestingly enough, the Kaaba is actually a pre-Islamic site but gained importance to Islam when Muhammad threw down the idols located there. This church is the AP poster-child of medieval pilgrimage. The Church of St. Foy from is part of the Romanesque style of architecture. This was a volatile time in Europe in which pilgrims were heading in droves to sacred sites to view and touch relics of saints (and even some of Christ himself). This church grew around a relic of St. Foy, who was a 12-year martyr from the 4th century. Pilgrimages also changed the architecture of Christian churches because they had to become bigger (for larger crowds) and provide walk-ways for pilgrims to visit the relics, notably extra aisles and an ambulatory around the altar that connects to the radiating chapels, filled with saint relics. Chartres Cathedral continues the medieval pilgrimage tradition of the Romanesque period which literally exploded during the Gothic period. Churches grew astronomically upwards and outwards as engineering technologies improved. The Church of Chartres has the distinction of (supposedly) containing the veil that the Virgin Mary wore while giving birth to Christ (I am more than skeptical of this, but it was a very real relic to medieval peoples and many people today). Consequently artworks of the Virgin are prominent in this church. Although not a work of architecture like the other pilgrimage sites listed, the Jowo Rinpoche is an extremely sacred Buddhist relic from the Jokhang Temple. Many people believe it to be one of the oldest statues of the Buddha, based off a portrait of the historical Buddha himself. The statue is decked out in gold, precious stones, and rich fabrics. The statue was meant to serve as a proxy to the Buddha after his enlightenment. Jokhang Temple is part of the Historic Ensemble of the Potala Palace, Lhasa, which is a UNESCO Site. 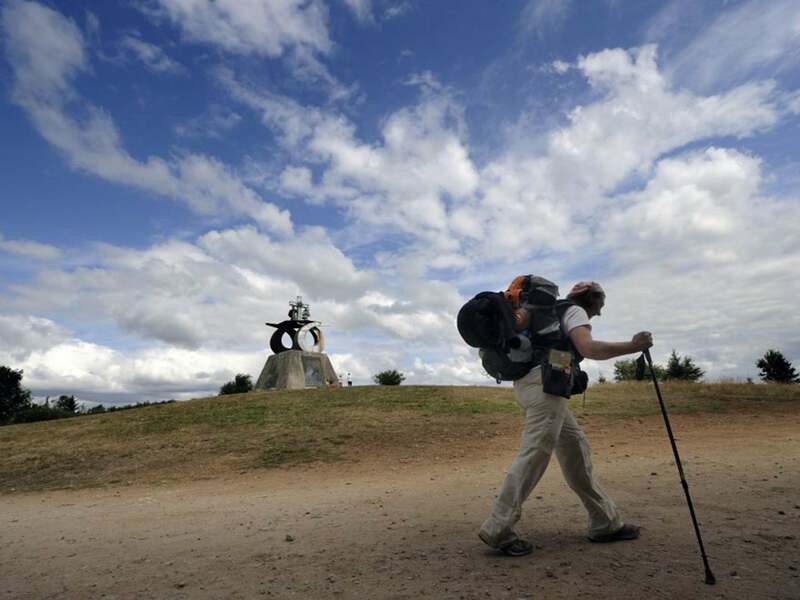 What other pilgrimages sites do you think should be added to the list? Ethiopian churches would be good too. Graceland would be fun too. And for so many, I would say Disney World. I love proposing the idea of celebrities as the “new saints” of our age. Veneration check, relics check, obsession check!